It is our goal to meet and exceed all expectations for our customers. People’s Choice Auto Repair employs certified Maserati factory trained technicians to offer the utmost quality auto repair and maintenance in Miami. Our state of the art facility is equipped with modern day technology to service your European vehicle properly with all reset, coding and programming needs. These are just a few of the services offered for Maserati at People’s Choice Auto Repair. Maserati is a quality engineered machine designed to protect you by multiple notifications of any problems or maintenance needs. This includes braking and ABS systems. Maserati braking system like most European vehicles has implemented brake pad wear indicator sensors to warn you when the brake pads are due for service in order to avoid damage to the rotors and keep you safe on the road. This warning will usually tell you to visit the workshop or the brake light on the dashboard will illuminate red or yellow. At our independent repair shop we have all the proper equipment to reset your brake light after the work has been done and furthermore, top of the line equipment to be able to resurface your brake rotors, as long as they are within legal specifications to shave. This can save you lots of money on your brake service. The ABS (Anti-lock Brake System) also has sensors to detect other issues. If your ABS light is on bring your vehicle to People’s Choice Auto Repair so we can diagnose what the issue is and provide you with a free estimate of repairs needed. We will be more than happy to assist you with any questions or concerns regarding your vehicles brake or ABS systems. Call us at (865) 272-3379 or simply fill out our free estimate form and one of our staff members will get back to you within 24 hours. People’s Choice Auto Repair has all the right equipment to diagnose the A/C system in your Maserati. We use Robinair machines to insure our shop is environmentally friendly and invest money in high quality Freon or refrigerant. Whether your A/C system has a leak, is not blowing air, not cooling properly, blowing cold air from driver side and not passenger, or simply does not turn on we can fix it. At People’s Choice Auto Repair we have all the experience and tools to properly service your Maseratis’ A/C system. The check engine light is designed for a reason. DO NOT ignore it, as this can cause costly repairs. When your check engine light comes on your Maserati is detecting there is an error in your engine management system. Some of the reasons your check engine light may be on is faulty ignition coils, bad O2 sensor, Evap leak in the vacuum system, electrical or fuel problems in the engine, just to name a few. We have all the experience and modern day scan tools to troubleshoot today’s sophisticated automotive electrical systems and keep our customers from replacing unnecessary parts by getting to the root of the problem. Our line of service offered to Maserati and European Automotive owners is extensive. Check engine light is your friend, it is warning you of a problem that needs to be fixed to prevent further damage to your engine or damage to your vehicles emission system. Electrical systems are becoming increasingly complex. At People’s Choice Auto Repair, our expert Maserati technicians can diagnose and repair the problem to get you back on the road. In addition to providing service on your battery, alternator, and starter, People’s Choice Auto Repair Maserati repair and maintenance center is fully capable of diagnosing and servicing all other electrical components in your vehicle; including power windows, locks, headlights, wipers, dashboard components and more. If none of these indicators occur but, it has been awhile since your last alignment, check your owner’s manual to see how often the manufacturer recommends having this service or simply bring it to People’s Choice Auto Repair and we will be more than happy to conduct an alignment check to give you your current measurements at no cost. With our state of the art equipment we can perform professional quality alignments on 2 or 4 wheels with no limits on makes and models which include Bentley, Rolls Royce, Aston Martin Etc. An alignment will ensure that your car drives straight and handles properly, making your Maserati driving experience that much more secure. You will also get better gas mileage since your tires will be properly aligned with the road, decreasing resistance. Make sure your Maserati gets the right fluids at the right times, whether engine oil, brake fluid, power steering, transmission fluid, etc. all fluids are designed with specification for a reason. Different manufacturers use different materials and the right fluid is needed to ensure that premature damage does not occur. At People’s Choice Auto Repair mechanic and maintenance center we only use fluid meeting or exceeding manufacturer specifications. The engine in your Maserati is a sophisticated power plant, and it requires engine oil that meets exact specifications which we carry in stock at People’s Choice Auto Repair. Choosing the proper oil, along with oil and filter changes at factory-specified intervals, will help ensure proper lubrication for your vehicle’s engine. In every visit we inspect all fluids and filters to advise you of any parts or service needed to keep your vehicle running properly. All services and maintenance conducted by our shop will keep your warranty valid, as we carry all licenses to work on your vehicle and only use the proper specified fluids and parts per manufacturer requirement. 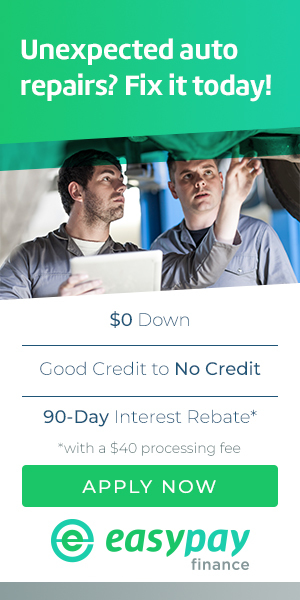 Whether you’re Maserati is due by mileage or vehicle is indicating to visit the workshop rest assured that People’s Choice Auto Repair has you covered. Call Today to inquire about any services your vehicle may need. Filters in your car are important to change as specified or needed depending on driving conditions. A dirty air filter in your engine will not give your vehicle the sufficient air flow required therefore causing your vehicle to consume more fuel than usual. In addition fuel and cabin filters are very important. Feel free to contact us with any questions or concerns you may have about your Maserati. (865) 272-3379. Maserati has been made with extreme precision and engineering this includes your steering and suspension system. At People’s Choice Auto Repair we have all the necessary technology and experience to repair any and all of your cars damaged components on your steering or suspension. Components that allow your Maserati to maneuver the way it does have parts that with time suffer and need to be replaced, for instance: ball joint, tie rod, struts, control arms, and many more. These parts have bushings that with time wear down and need replacement. People’s Choice Auto Repair can find any noise or discomfort you may be feeling while driving or when you hit a bump on the road and leave your vehicle feeling like new after all repairs are done. Maserati has a suspension system designed so the wheels individually counteract bumps or holes which gives you precise comfort and handling. Air suspension faults have multiple reasons why they come on; air strut leaking; air suspension compressor malfunction and many more. Through our extensive research we have found distributors who manufacturer Air suspension struts at a fraction of the cost with the same warranty and specifications. When repairing suspension faults or steering components a proper four wheel alignment is required which is why we have implemented the best equipment in the market today, in order to offer a perfect alignment leaving your vehicle feeling like new. Call today (865) 272-3379 to inquire about any symptom or concern you may have and one of our trained personnel will be more than happy to assist you. At People’s Choice Auto Repair our professional technicians are ready to take care of any problem your Maserati cooling system may have. We repair radiators, water pumps, reservoirs, thermostats, hoses, etc. and using the proper fluids for your European vehicle meeting all specifications. Changing your antifreeze is just like changing your oil. The coolant ages and needs to be changed to prevent corrosion and sulfur which leads to the breakdown of your system components. This helps prolong the life of your heating and cooling system and prevent costly repairs. Here at People’s Choice Auto Repair located in Miami / Doral FL we have all the proper equipment to conduct a coolant flush, as well as, conduct pressure tests which allows us to locate any leak your Maserati might have throughout the pressurized coolant system. At People’s Choice Auto Repair we have the appropriate equipment to service your tires using top of the line machines with rubber covered arms to protect your rim from any scratch and the software to reprogram or calibrate your (TPMS) Tire pressure monitoring system. If your TPMS light is on your Maserati dash and will not turn off even when you inflate the wheels it could be the sensors battery life has expired and needs to be changed. TPMS sensors have a life expectancy of 4-6 years and the way they are manufactured the battery cannot be changed, the sensor needs to be replaced and reprogramed to the vehicle. At People’s Choice Auto Repair we have the ability to service rims up to 26 inches for our customer with customized rims. Visit our European auto shop in Miami today and have everything done right under one roof including four wheel alignment.